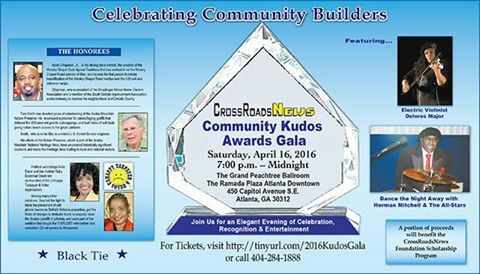 We wanted to take a moment to extend our most sincere thanks for choosing us to receive the CrossroadsNews 2016 Community Kudos Award. We are writing to express our sincere gratitude to you for a memorable and wonderful evening that will stay with us forever. You have no idea how happy you made us when you handed us the award. We are truly humbled and honored you recognized us with your “Making a Difference Award with Dedicated Service”. Once again, we are very grateful for this reward, which is an excellent morale-booster that will encourage us to continue doing our community ministry work. We are also very appreciative to everyone who helped you make the gala a “must attend” yearly event. 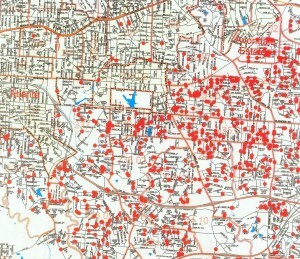 ATTENTION: Do You Want Radioactive Waste Stored in Georgia? Why: The federal government is looking for places to dump tens of thousands of tons of radioactive waste from the nation’s commercial nuclear power plants. They are looking for volunteer communities who would consent to taking this waste. Questions: Why would any community volunteer to take this dangerous waste? What does the Department of Energy mean by consent? Whose consent is the agency seeking? Is the waste being managed safely at power plant sites where it’s stored now? These and many more questions should be raised at the meeting. The US Department of energy is holding a series of meetings at different locations across the country. The meeting in Atlanta is our opportunity to ask questions and give our opinions. If we leave the field open to the vision of those who are imposing their way upon us without challenge, we will lose everything. It is important to include EJ specifically and consistently in all our principles, comments, correspondence, position papers and talking points during these consent-based meetings. Why? Because all the communities which have ever been selected for radioactive waste have been EJ communities: African American, Hispanic, Appalachian, Native American etc. If a recipient of federal assistance is found to have discriminated and voluntary compliance cannot be achieved, the federal agency providing the assistance should either initiate fund termination proceedings or refer the matter to the Department of Justice for appropriate legal action. Aggrieved individuals may file administrative complaints with the federal agency that provides funds to a recipient, or the individuals may file suit for appropriate relief in federal court. Title VI itself prohibits intentional discrimination. The DOE should choose the best available technology for radioactive waste storage. This should be based on long term safety, not short-term cost savings as is now the case. The DOE must exceed Nuclear Regulatory Commission standards to avoid radiation leaks and potential explosions. Most of the rest of the world uses thick metal storage/transport casks (10” to 20” thick) and stores them in reinforced buildings. They are designed to be maintained. The DOE plans to use inferior thin-walled canisters. Rather than consent-based siting, DOE efforts and public meetings should be focused on the storage, transport, funding, and states legal authority issues. It would be folly for any community to consent to the transportation and storage of high level spent nuclear fuel until all these issues are resolved. I recently viewed several news reports on the Wade Walker YMCA and Roy Wilson with major concern and disbelief because I knew some major facts were not included in the report. I am writing this article in hopes of making some corrections that will remove the appearance of making Roy Wilson a “scapegoat” and/or “throwing Wilson under the bus”. Wilson was not employed with DeKalb County when the decision was made on the YMCA construction. The future move to build a library at Wade Walker Park also made us very uncomfortable with the manner in which this was reported. 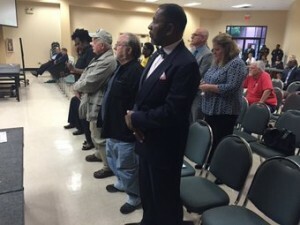 Both of these issues involve questionable actions of our local county government of DeKalb and clearly have cost the taxpayers and voters over $100,000. 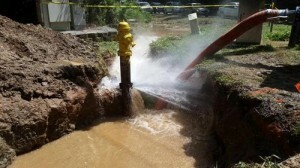 However, it is not right to place the blame on county employees such as Roy Wilson. · The Public-Private Partnership agreement that helped with the construction of the YMCA at Wade Walker Park was voted on in August and September of 2008. · The September 9, 2008 Board of Commissioners business agenda and minutes will show that Commissioner May made the motion and Commissioner Ellis seconded, and the agenda item passed 6-0-0-1 to authorize the Chief Executive Officer to execute the Master Agreement with the Development Authority of DeKalb County and the Young Men’s Christian Association of Metropolitan Atlanta, Inc.
· Commissioner Elaine Boyer, Commissioner Jeff Rader, Commissioner Larry Johnson, Commissioner Burrell Ellis, Commissioner Lee May, and Commissioner Kathie Gannon voted in favor of the item. Commissioner Connie Stokes was absent. 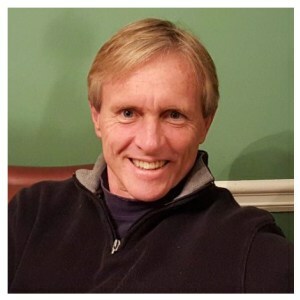 · The contact person on this agenda item was Morris Williams. The agenda item was listed under Commission District 5 and 7. 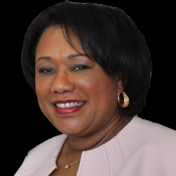 · Marilyn Drew was the Director of Parks and Recreation until CEO Burrell Ellis fired her in 2009. Ellis hired Roy Wilson in 2010. · The major decisions were made on the construction of the YMCA prior to Commissioner Sharon Barnes Sutton taking office in 2009. · I was present during the Board of Commissioner meeting when the issue of the YMCA was discussed. We are very concerned that placing the focus on Roy Wilson makes him appear to be “guilty” of a serious issue that he has no direct power to control. Wilson is a department head and must report to the COO and/or the CEO. Wilson does not report to the Board of Commissioners unless directed by his superiors. The questions we are asking involve our legal department. Did anyone in our legal department provide guidance and/or warn our elected officials against building the YMCA in violation of the Georgia Department of Natural Resources’ restrictions? Where was our legal department during this year’s budget process when the decision was made to move forward with the library? It is wrong to blame county employees and bypass the “true” decision makers. Did Roy Wilson give the report to Executive Assistant/COO Zachary Williams and/or ICEO Lee May? This would be Wilson’s first course of action. Wilson is not obligated to report to the Board of Commissioners. Zachary Williams is mandated through the Organizational Act to report to both the CEO and BOC. Furthermore, Mr. Roy Wilson spoke of retiring long before the issue of the YMCA and the building of the Library came to light. It is unfair to make it appear that this was a sudden action Wilson did following these reports. I am forwarding copies of documents that will provide a better understanding of what happened in 2008 with the construction of the YMCA at Wade Walker Park. Please view the attachment. I hope this will clear up any misunderstandings and restore Roy Wilson’s reputation. If you have any questions, please contact me at 770-256-0034 or via email at UnhappyTaxpayers@gmail.com. 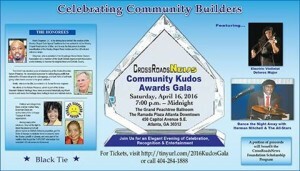 We are writing this letter to let you know that we have received your notification that we are one of the 2016 Community Kudos Awards Gala Honorees. We are very pleased and grateful to accept the award. We are honored you are recognizing us with your “Making A Difference Award”. We are very grateful for this reward, which is an excellent morale-booster that will encourage us to continue doing our community ministry work. We are also very appreciative of those who recommended us to you and for the time and effort you have put into this yearly award process. Tom Doolittle, Contributor. File Photo. By preemptively providing the media with a statement rejecting the Doraville TAD, Green has deftly deflected all the pressure that TAD proponents have tried to put on him. He has also sent tremors through the economic development world by invoking the unspoken “s” word—“speculation”. 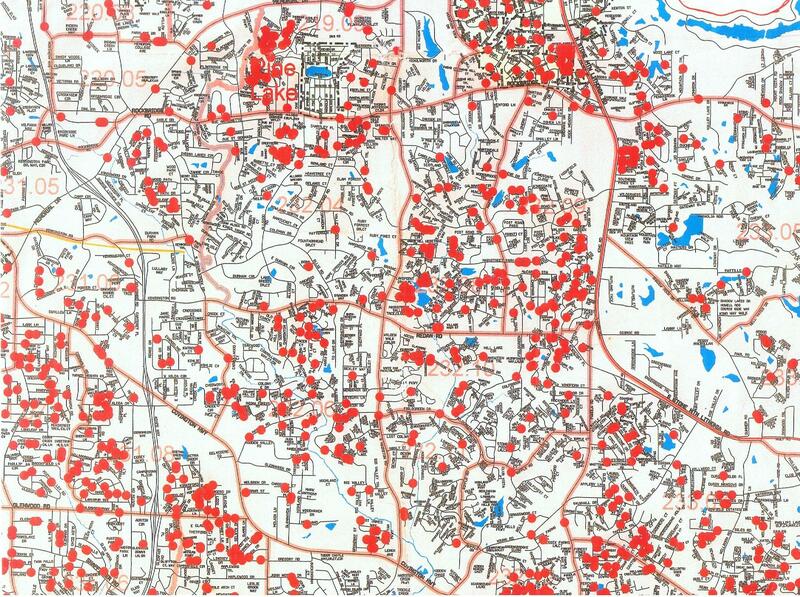 The City of Doraville’s Tax Allocation District is 289 acres and projected to deliver $293 million in additional tax revenue over the next 25 years if the city’s redevelopment plan works. 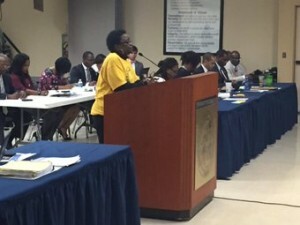 DeKalb County Government (“DeKalb”) has agreed in principal to participate. The school system would pay nearly three times what the city or county pays. The proposed breakdown for a maximum of $247 million in bonds would be about $50/50/150 million in round figures. (The outsized 58% school system contribution is unique to DeKalb because the government’s tax millage is lowered by the Homestead Option Sales Tax). Green hasn’t taken umbrage with or demurred on the “Assembly” project at the General Motors site per se. That now represents only 149 usable acres of 289 acres in the TAD. Reading between the lines, the Superintendent wouldn’t support a TAD anywhere regardless of its projects’ particulars: location, jurisdiction or plan. Speculation is speculation, real estate development is real estate development and economic development is economic development—and Green says school systems don’t belong doing any of those. Regarding “speculation” though, TADs can carry widely different levels of financial risk—and they are uncertain for different reasons for different entities. The Atlantic Station TAD had anchor tenants signed and substantial “soft” support from a civic league renowned in influence before the City of Atlanta took it on—Doraville has none. Bond holders presumably take on “all” the financial risk, given that taxpayers are not legally on the hook for defaults—yet would a city or county really allow a default given reputational implications? What developer is involved and how solid is its financing? Plans can range from abstract to those specifically associated with end-users. Fundamentally, Atlantic Station is a corporate plan, one which TADs are well suited. By contrast, Doraville’s TAD (of which the former General Motors property is only half) is principally a program that builds a town, not a private sector development. It is planned for “public grounds” and is a sociological experiment first and contemplates revenue production last. One third of TAD bonds would be used for one project which idyllically connects the GM site to the rest of the town—the Atlanta Journal Constitution calls it a tunnel while the developer terms it a “covered street”. The cost, estimated from $80 million to $120 million would be on the order of investments that DeKalb makes for wide usage—jails, courts, libraries, etc., not areas which would remain unutilized by most in DeKalb. As I have stated, the Assembly project is elegant and represents the idea of fulfilling all of New Urbanist theories that “mixed-use” developments have not. It’s not a corporate center, it’s a village from which the rest of the little town of Doraville can reinvent itself. 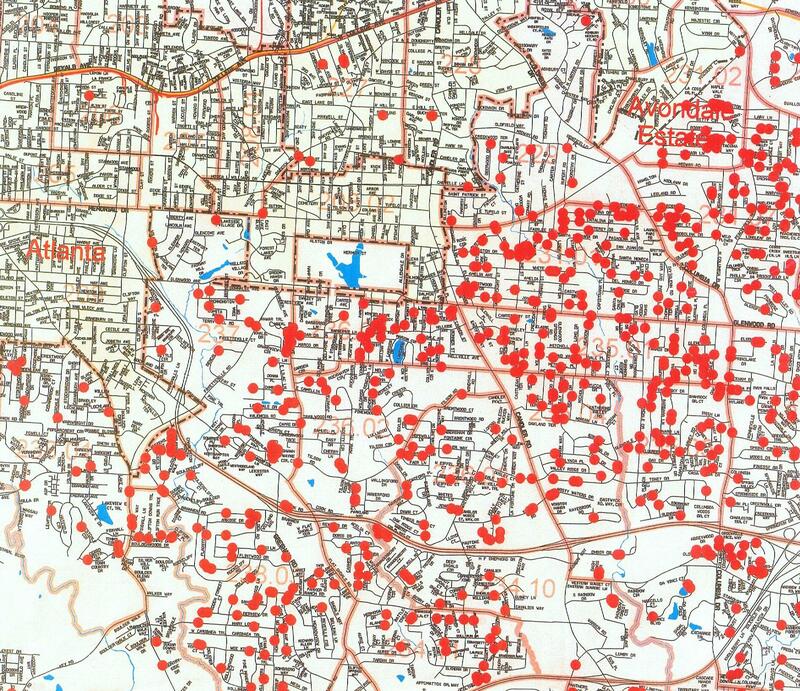 Without the school system contribution, the $100 million in bonds that Doraville and DeKalb can underwrite can be used to leverage sums from various agencies. Those agencies would be appropriate for the type of “infrastructure” needed to fulfill its New Urbanist model—congestion relief/alternate transportation, density, mixed-income and income disparity solutions. Dr. Green is articulating a problem that stems from the same underlying problems that required gyrations for DeKalb County to get to this juncture—the Doraville TAD, as planned (or unplanned) is philanthropic by nature—“speculative” being his term. Dr. Green has simplified at least one part of the equation by deciding the TAD is not required for him to do the job he was hired to do and he has handed the decision over to his board to grapple with. Meanwhile, he has removed himself from the predictable backlash from OTHER small towns in DeKalb or school parents in remote areas which will demand the same philanthropy.